Acronis Online Backup is a type of data storage service that can keep all of your data stored in the digital cloud. The main reason for this service is that in the event of a computer failure you will be able to access all of your information on the cloud instantly. Acronis cloud is just another way of saying a remote server. Acronis has a remote server linked up to the Internet at all times, and you can save your files there and download them back into your computer whenever you need to. This is preferred over a personal hard drive or USB device for several reasons. For one, you might lose your storage device and need to get a new one. If your house is destroyed in a fire or flood you will still be able to get your information, as opposed to a USB, which could also be destroyed as well. Some students even prefer uploading homework to the Acronis Cloud so they don't have to remember to bring a USB to the printer room before class. Families can share and upload family photos to one location. Cloud computing is the latest thing in storage and is quickly becoming the next big thing. It is incredibly convenient to have some type of digital storage this day and age. 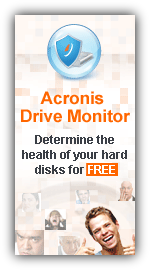 Acronis has features that many other cloud-computing services do not offer. It can be a chore to have to back up your files every time you upload some new photos. This is something physical storage devices have a problem with, but Acronis updates itself automatically. While typing up a work document, the file will simultaneously be uploaded onto the cloud without any further action. If you're doing something new to your computer, such as installing new software or visiting a website, Acronis will freeze your computer's information. After using the software or visiting the website, Acronis will go back in time and set up your computer exactly as it was before you did that. Acronis is fully compatible with Windows, and files can even be uploaded without an operating system installed. The user interface is simplified so the vast majority of people will be able to understand it. Even if you have issues, there are a number of tutorials and a help line that will be able to offer you some help. When installing the software there is a quick rundown of all the features and how to use them. This in itself will be enough for most people to understand how to use Acronis. In the end Acronis is a pretty good cloud computing service that is easy to understand for almost anyone. Its specialty is backing up a computer and live syncing it. So up until the exact moment your computer has stopped working, Acronis will have all your files, photos, and programs safely tucked away in the cloud. 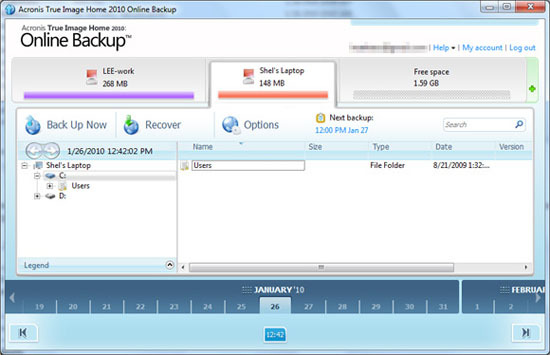 The great user interface and the ease of backing up your entire computer instantly make Acronis Online Backup a desirable option for those looking to protect their computer's data. I would recommend it to anyone looking for a place to store items in the cloud. 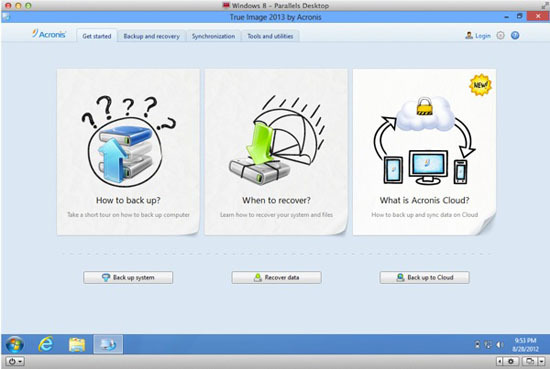 Acronis True Image 2014 Online Back is a perfect way to backup all your data on remote servers and restore it in case of need.